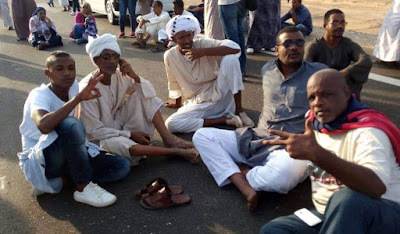 Since Saturday not less than 150 Egyptian Nubians have started an open sit-in at Abu-Simbel-Aswan highway as a military police refused to let them head to their old Nubian villages in Toshka and Forkund to protest the sale of the land there to Non-Nubians. "Update : The Nubian activists ended the sit-in Wednesday morning"
The sit-in was already planned at the two villages as part of a protest called "The Nubian Return Caravan" against the presidential decree to include those two villages in President Abdel Fattah El-Sisi's mega-national project of reclaiming 1.5 million feddans. "The Nubian Return Caravan" is actually a convey made of a delegation and representatives of Nubians from all over the country organized by several Egyptian Nubian organizations above them the Nubian Union after the latest presidential decrees as well cabinet decisions endangering once again the Nubians' rights to return. The military police did not only stop the caravan but it took photo copies from the activists' IDs. Later , it besieged the sit-in refusing to let food or protesters to join it. Things escalated when three protesters were injured when the military police tried to disperse the protest by force and they were transferred to hospital. 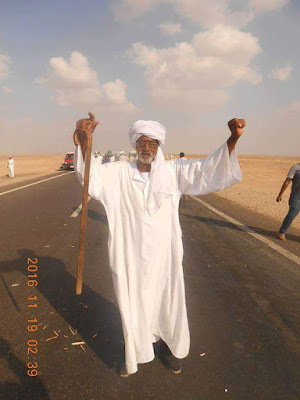 Saturday and Sunday nights witnessed protests in several areas throughout Aswan as angry Egyptian Nubians cut highways and railways for several hours over the security actions. The protester announced that they would continue in their sit-in till their demands are met starting with allowing the Nubian Return Caravan to head for its original destination. 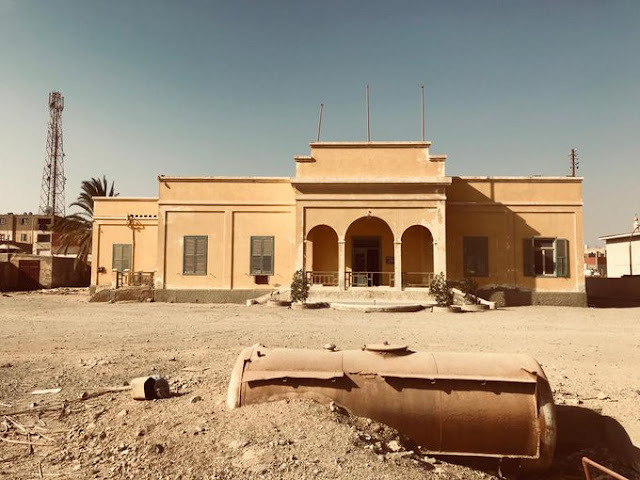 The Egyptian Nubian protesters also demand the government not to sell the old Nubian villages in Toshka and Forkund as part of that mega-project and to stop selling the old Nubia land in general. They also demand a law for the resettlement of Nubians in their old villages in accordance with the Egyptian constitution. I expected that the security forces would unleash a wide crackdown and disperse the sit-in by force as they have done but so nothing happened. On Monday, Field Marshal Hussein Tantawy, the former head of SCAF and minister of defense and current House of speaker Ali Abd Aal as well other officials and MPS visited Aswan and met with representatives from Nubia to discuss the latest developments or rather a crisis. "Yes , it is a crisis"
Some are wondering why Hussein Tantawy suddenly emerged in this crisis. Well, simply because Tantawy is Egyptian Nubian. Ali Abd Aal is also Egyptian Nubian. The meeting so far reached to nothing on Monday as protesters insist to continue their sit-in till demands are met. 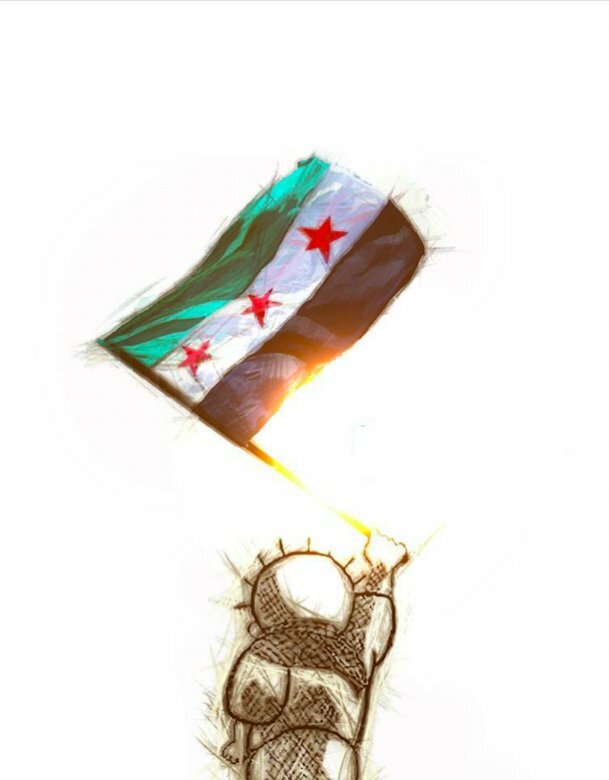 The Pro-regime media somehow is dealing in a way that I did not expect. Either , the regime understands how the sensitive the issue is or the regime does not want noise as El-Sisi is visiting Portugal. The last thing they want while the President is visiting a European country is reports about mistreatment of ethnic minorities. Still, I am praying for the first to be true. How did the president and the cabinet endanger the constitutional right of Nubians to return ? In December 2015, the Egyptian President Abdel Fattah El-Sisi issued presidential decree No.444 that designated masses of lands along border areas as army territory that should not be populated. About 16 old Nubian villages are among that army territory according to Nubian activists who protested against the decree. In August 2016, President Sisi issued presidential decree No.355 allocating 922 feddans including the land of old Nubian villages "Toshka and Forkund" to the new Toshka development project. "Yes , we are back to that mega-national project !!" In October , the Egyptian government announced that it would sell parts of the project in an auction for investors. When they complained to the officials , the only answer they had the priority to buy the land of Toshka and Forkund before others. 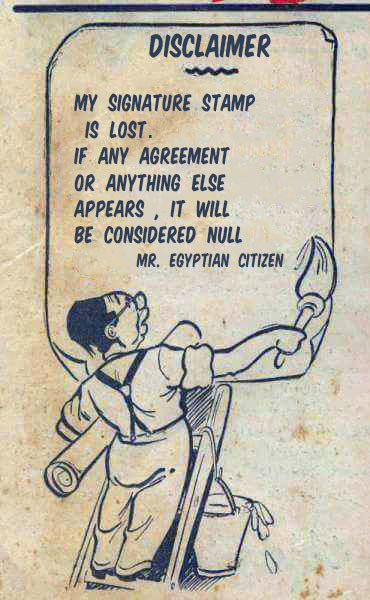 Since then , the Egyptian Nubian activists began to work against the decision as well the decrees. The Nubian activists above them the Nubian Return Caravan reminds the regime that the President and the government themselves are violating the constitution they issued and supported. The state shall develop and implement a plan for the comprehensive economic and urban development of border and underprivileged areas, including Upper Egypt, Sinai, Matrouh, and Nubia. This is to be achieved by the participation of the residents of these areas in the development projects and the priority in benefiting from them, taking into account the cultural and environmental patterns of the local community, within ten years from the date that this Constitution comes into effect, in the manner organized by law. The state works on developing and implementing projects to bring back the residents of Nubia to their original areas and develop them within 10 years in the manner organized by law. The last highlighted part is considered by Nubian activists as an official constitutional to return to their villages. Despite I did not support or vote for that constitution "I was sick and I did not approve its other articles", I won't deny that article 236 was one of its best articles in that constitution. Anyhow , we are dealing with a regime that loves to violate the constitution it supported !! Thanks to dear Ahmed Abdel Rasoul, I found out that in November 2014 a draft law was being prepared to found the "High authority to develop and build Nubia" by the government. That 32-articles draft law would help in the resettlement of the Egyptian Nubians in their old villages. I do not know what happened to this law as it should have been submitted to the parliament. Historically , Nubia stretched for about 350 kilometers from Dabud village to the south of Aswan to Adendan village in the Halfa Valley in modern-day Sudan. The Egyptian Nubians have been for about 4 times in the 20th century because of Nile dams projects in Aswan since 1902. The biggest and worst displacement so far was during the construction of the Aswan high dam in 1960s. According to Nubian activists I spoke with in the past two days, there are currently not less than 4 million Egyptian Nubians living in Egypt across the country after the displacement. It is not an official number as just like other minorities including Egyptian Christians for some reason !! 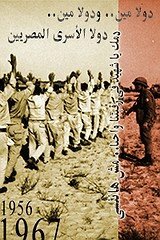 The latest official number I found for Egyptian Nubians goes back to 1960 when there were 100,000 in Aswan alone. As someone who has been following the Nubian cause for quite some time now , I think this is the loudest protest ever done by the Egyptian Nubians. For the sake of Egypt's true National security and its true identity that is actually built upon diversity, I pray to God that one day the Egyptian Nubians will restore back and reclaim their 44 villages. Thank you for such an informative article. I've been studying the Nubian case for quite some time here in Canada. As a born and raised Egyptian, I believe the Nubians have been subordinated too much now, and their rights have been arbitrary taken away from them. Especially when most of the Egyptian population don't even recognize the Nubians as an indigenous group.